It’s too bad you can’t hand-deliver your application with some delicious baked treats! We sold our first house in a seller’s market, and had an agent show up at our door with a full price offer before we technically were even on the market. The family had lost out several times and they were determined to get our house. We had to live with my in-laws for a month as our new house wasn’t ready yet! Are there rental companies that handle applications, etc. for owners? Maybe you can list your information with them? Just a thought! We will probably work with an agency, but not until after the first of the year. I think otherwise it might just be too crazy for us. Kaua’i is like a small town where everyone knows everyone, and we’re the new kids on the block. I think that’s what’s going to be the biggest thing against us. With an agency we can sort of get around that. Kaua’i is like a small town, and although we might have been first with the application, there’s a good possibility that someone that someone else knows that knows the owner got the nod. That’s just how it works here. Our lease here is good through the end of next May, so we have several months to find something new. The selling agent told us yesterday before the showing that two of the people who looked were surprised by how much the owner was already getting for rent (and yet we are paying market prices here). They could raise the rent or they could leave it where it is, but it’s a risky gamble for us. After living here for over a year, there are some features that I miss (like having a dishwasher and a lanai) that make moving worthwhile for us. 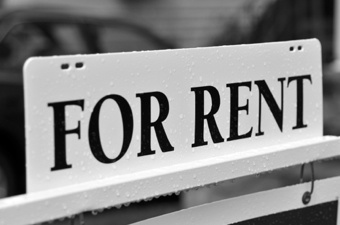 The new potential landlords may think you won’t stay and be that dependable long term renter. So a local who has lived there for years may be more desirable. Mainland people are expected to get tired of being isolated in the middle of the ocean and go back home after a few years. I totally agree with this! People from the mainland are often perceived as not going to stay around for long, so it’s more likely someone local will be chosen. It’s the same thing socially – until you’ve been here awhile (usually more than two years) locals assume you won’t be around for long so it doesn’t make sense to get close or make a connection that’s going to be broken. We know what we’re up against, and know why we might not be chosen for a rental.